Great driving school. They have given me and my 3 boys a new independence of life that we didn’t know we missed. Fantastic driving instructor in Kamran calm, methodical, funny and felt safe and at ease when learning to drive. 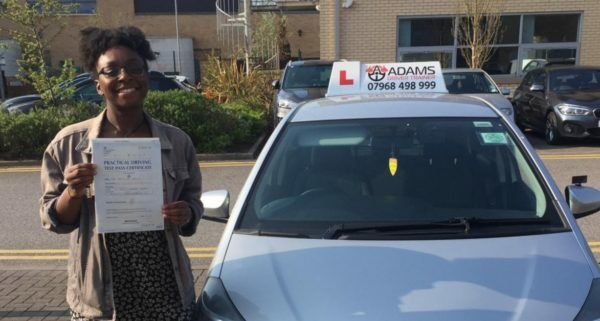 Passed test within 5 months from the first lesson to test passed FIRST time. If you’re thinking about going to any other driving school think again and pick Adams Driver Trainer. First class! I have just passed my practical driving test today with Hassan!!! I have had previous instructors but none of them takes the time and interest to teach you how to drive in the Way that you will pass. If you want to pass first time book Hassan! He is all about you passing and getting value for your money. If you miss a few lessons he is understanding. I believe I chose the best driver Hassan. Thank you! I was instructed my Ambreen from this school. 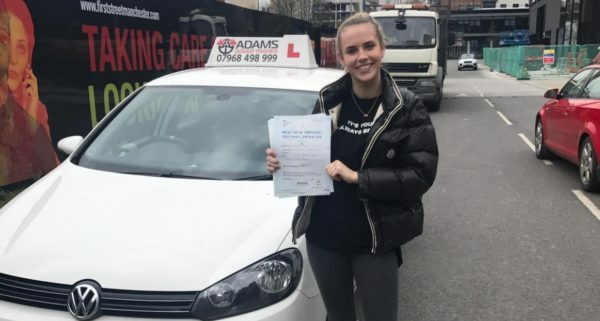 She’s a fantastic instructor, she made sure I was reaching my full potential and she also built up my confidence in driving which was really helpful. The reason I passed first time was because of her, her pointing out every single little thing that could have made me fail in my test helped me to be more confident and alert. I have recommended her to all my friends because she’s genuinely the best instructor and knows very well how to do her job. Thank you so much Ambreen. Adam, the owner and instructor, is very good and knowledgeable. He comes highly recommended! An AMAZING driving school in my experience! Extremely professional and reliable. 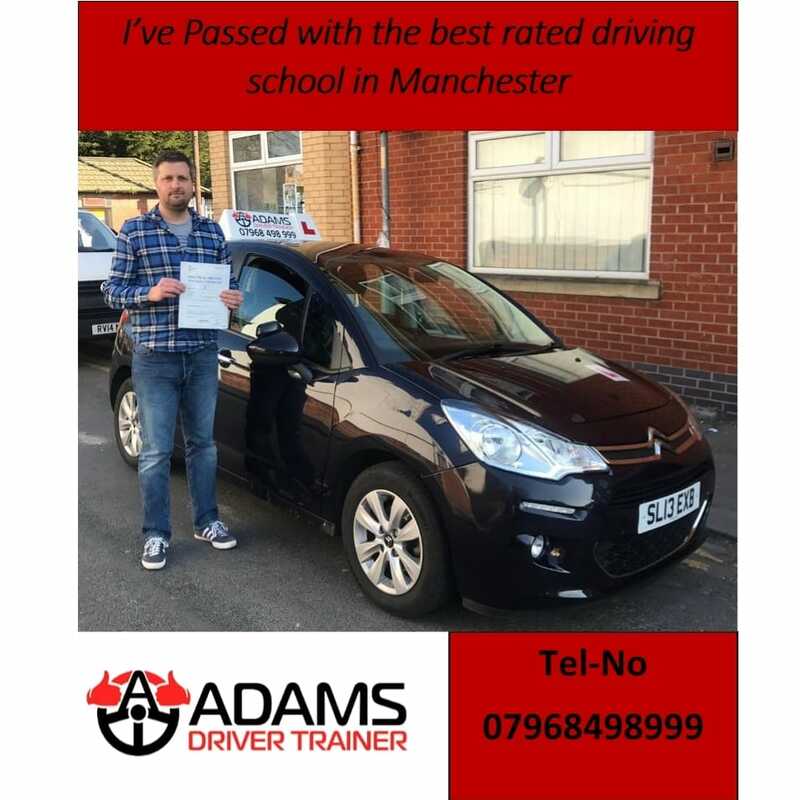 I was taught by Adam who, I must say, was excellent at pointing out every mistake possible and helping me to eradicate it whilst at the same time keeping my confidence high. Would 100% recommend for anyone looking to learn to drive!! 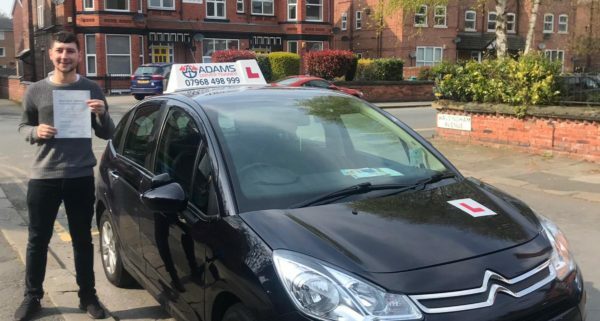 Adams Driver Training is a great company, and Hassan is the best driving instructor you could get! Hassan brought my confidence back up completely after it was knocked with a previous instructor, and I passed my test today with no faults! 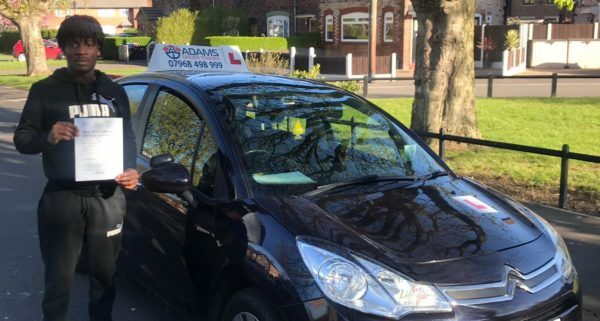 He really helped me and I would definitely recommend Hassan to anyone else looking for driving lessons as you won't find anyone better anywhere else. Thank you so much! From the beginning, Hassan was very welcoming and friendly which allowed me to become very comfortable in the car from an early stage. His humour created a very friendly but honest environment. This honesty helped me avoid making any mistakes that I kept repeating as he offered clear and useful advice to avoid them. Hassan’s patience, knowledge and belief in me gave me the confidence that subsequently led to me passing first time. 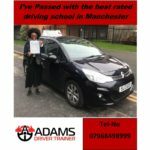 I cannot thank Hassan and Adams Driving School enough. I passed 1st time all because of my fantastic driving instructor Ambreen. Great driving school! Absolutely brilliant driving instructor. I was a complete beginner and he really helped me learn. He helped me keep calm and was patient and gave really good feedback to help me improve. I would recommend! Just passed my driving test with only four minors. Could not have achieved this without Hassan, he was very patient and help me calm down whenever I felt nervous about driving, I have never driven before and I picked up so much in such a short time with Hassan. 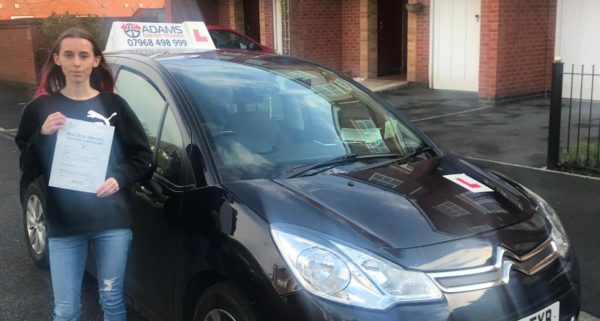 Jasbir Singh from Adams Driver Trainer is a fantastic, calm and experienced trainer. He taught me principles of driving, helped improve my driving and taught me tricks on what the Examiners are looking for which helped me pass my test. Highly Recommend. I managed to pass first time. All down to having a very professional and straight up instructor. Adam’s teaching methods are very easy to understand and follow. He is a very encouraging and kind instructor. After every lesson, he evaluates your strengths and weaknesses and will explain what you can do to improve. Thank you for helping me pass my driving! I would like to thank this driving school and especially my lovely instructor, Ambreen. I passed first time with only 4 minors. I really enjoyed my lessons with Ambreen. She is a brilliant teacher, firm but kind and we had a great rapport. I think of her as a friend now and will miss our lessons! She inspired confidence in me and taught me very comprehensively. 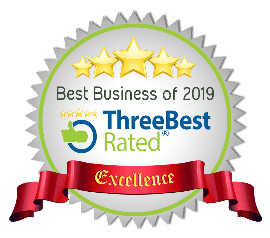 I would highly recommend both Ambreen and Adam's driver trainer in general for a professional and stress-free learning experience! I am very pleased with the service of Adams Driver Trainer. Ambreen is my driving instructor. 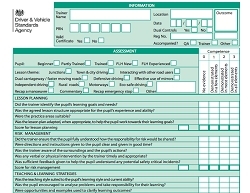 She's very well organised, and her teaching strategies are excellent. I usually have a very hard time learning when I am under pressure, but she always finds ways to make sure I am relaxed and learning what I need to learn. 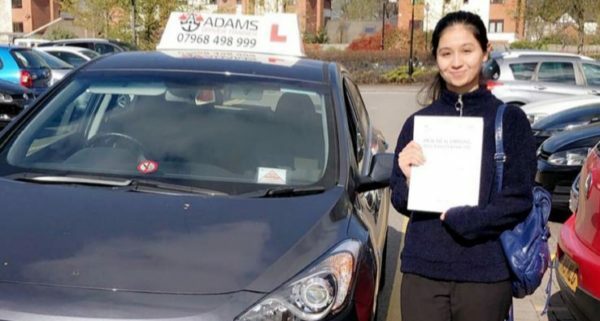 Not only do I recommend Adam's Driver Trainer as a driving school, but I recommend Ambreen as a driving instructor most! Hassan is a great driving instructor! 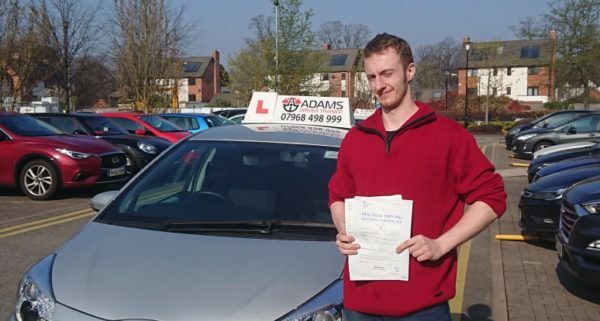 I passed first time with him, with just one minor! Hassan explains concepts very well and he is clearly very experienced! He is also very patient and friendly! Would definitely recommend! I will be coming back for some motorway lessons! Having previous lessons with another instructor i preffered adam as he is very calm at teaching and explains things thoroughly and as many times as you need it. 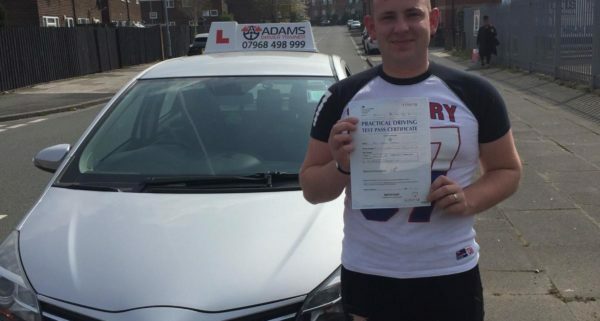 I didnt have to take many lessons with him and passed first time. I would definately recommend him. Thank you for all your help it's really appreciated , but especially to Shereen to teach me how to drive against the rules. 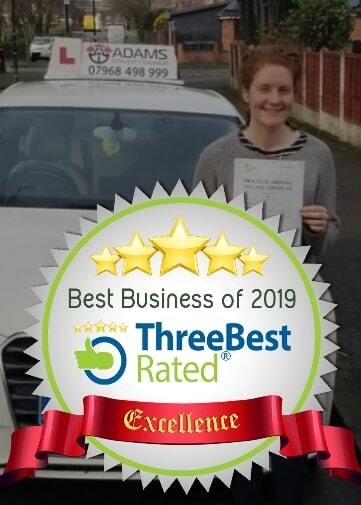 I had really nice time to drive with her,her teaching skills are absolutely excellent and I passed first time. I already recommended driving school to my friends but Shereen is the best! Passed my driving test first time with adam, he was great in all lessons making sure i was ready for the test. Also made sure i was calm on the day, i have 4 sisters and 2 brothers who also passed with adams instructors. Would recommend to anyone ! Due to high demand, we are looking for Driving Instructors in Chorlton Cheetham Hill, Longsight, Stockport, Sale and surrounding areas!